We would appreciate an RSVP with a head count in your party so we know how much Champagne to chill. There is no ticket price but donations are appreciated to help with the costs. We really hope you can join us so we can thank you personally for your generosity in the past and your continued support and friendship in 2019 and beyond! 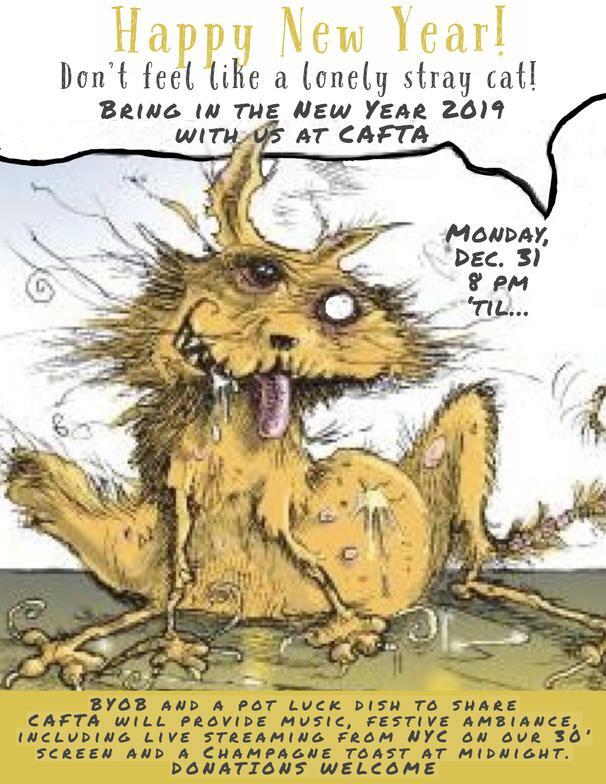 The party starts at 8 PM in CAFTA Cineteque Theater, 100 Prospect Street on Monday, December 31 until.... (See attached poster and feel free to invite your friends to join us). If you have any questions please contact me. Hope to see you Monday.